This Appealing Table Skirt Comes with a Fold Up Table! 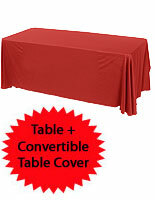 Get Tablecloths and Accessories for Less in the Online Catalog! 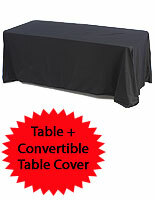 This Table Skirt Package Helps Streamline Formal Events! 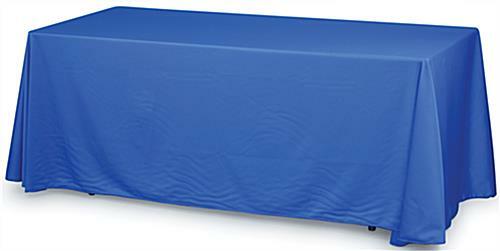 This portable counter, table skirt kit comes with a folding table and a tablecloth. Made from molded plastic with foldable legs, this display is built for easy storage and transport. 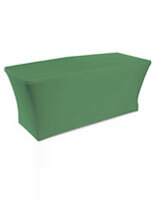 This table skirt with popup surface has a durable molded tabletop that is great to write on or for displaying merchandise. 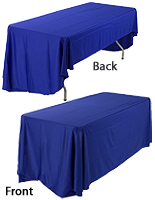 The durable and strong construction of this table skirt set makes it ideal for years of use. This unit can be used at a trade show, banquet, catering event or exhibition hall. 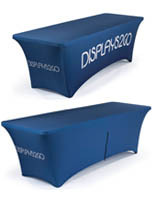 This folding counter, table skirt package is ideal for use at your next indoor event. Provide a professional image to attendees. 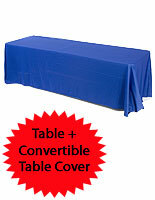 Our company provides the trade show table with a blue, convertible tablecloth. 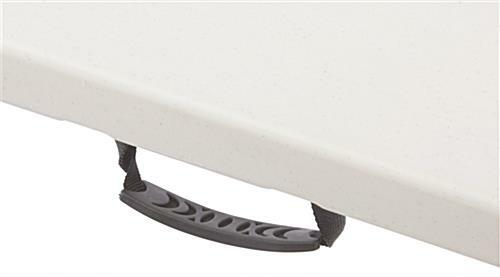 The topper covers all four sides of the included table, which allows users to store additional items under the table. 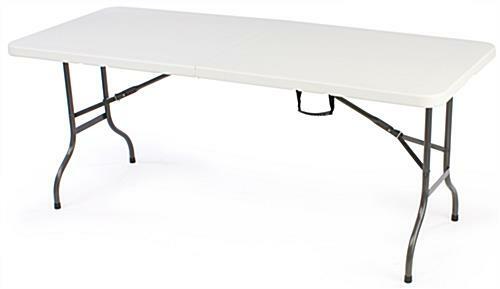 It also comes with built in hook and loop adhesive enabling the conversion of the tablecloth to fit 4 ft. wide tables, as well. 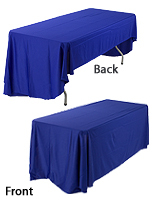 Made from premium polyester, the table cloth is machine washable, and anti-wrinkle. At a low cost, you can now have these two items and use them time and time again. Why rent your trade show supplies if you don't have to, buy this table skirt and display surface today!